At some airports, TSA is getting even pickier about what they want to scan separately. To kick off 2018, TSA at certain airports in the US has begun requiring that passengers remove all large electronics from carry-on bags to be scanned individually at security checkpoints in the US. This now includes all devices such as kindles, DSLR cameras, and the like, in addition to the typical laptops and tablets. Even phones of the larger variety may be subject to this requirement. Then I recalled that I had fortunately packed my DSLR and associated accessories together in their own bag, separate from the rest of the crap inside my backpack. And so it was that all I had to do was pull that smaller bag out, zip it open, and set it on the belt. No grappling with plastic bins and removing, then placing, and then replacing the device in its original location. Easy peasey. Suffice to say, this is where wedge-style and other camera-specific cases might start to come in real handy. For my first couple go-arounds, all I had myself was a padded camera cube inside of an extra small duffel bag inside my main pack. This worked out fine – I yanked the duffel bag out and set it down, then zipped it open so that they could peak inside if they felt the urge. Otherwise, I left the camera and accessories intact inside the cube and duffel bag for their quick journey through the scanner. 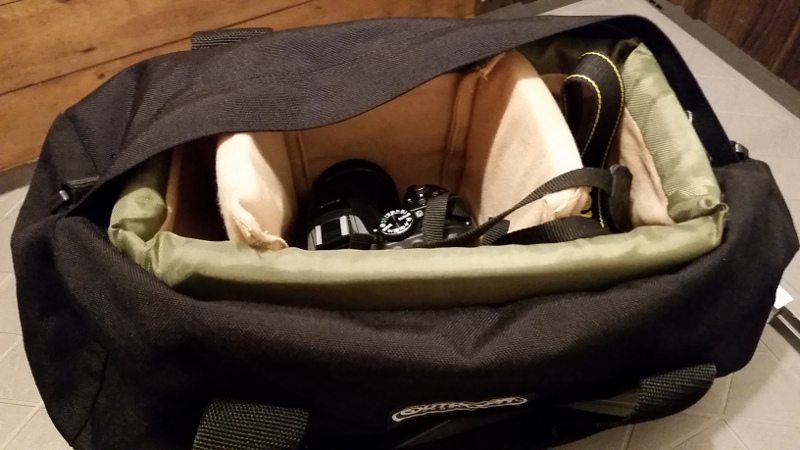 An extra small duffel bag with a padded cube is a good option for a DSLR camera. 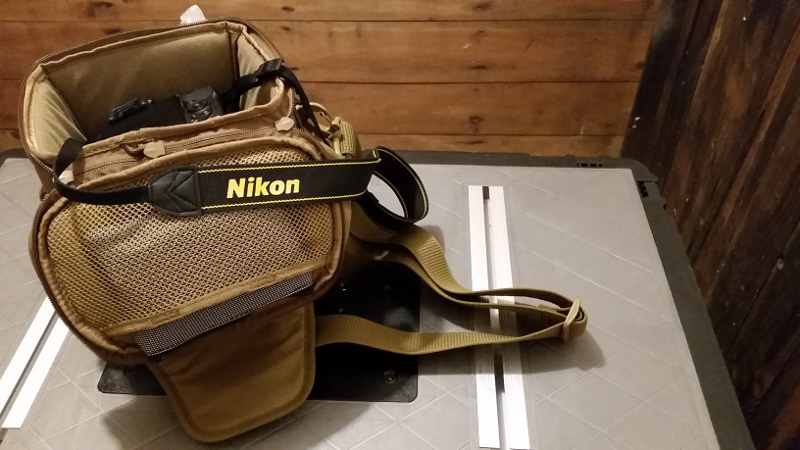 A wedge-style case can make the separate scanning of a DSLR camera simple. As for my Kindle, I already keep it handy in a protective case in an exterior mesh pocket anyway, so it was also easy to remove for scanning and return it to its place. 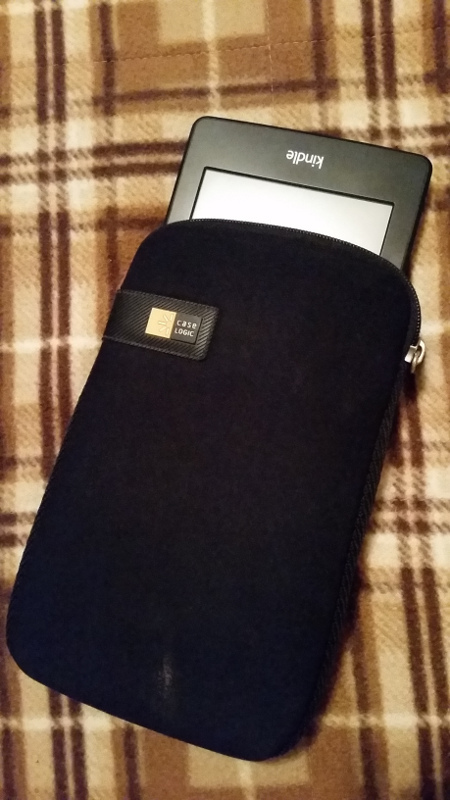 A Kindle in its case, ready to be scanned. Some medical equipment is like this – CPAP machines typically ride in their own fitted bags by themselves. However, for other things like nebulizers or compression stockings or what have you, you may need to look around the house for an extra bag or small carry-on suitcase that can accommodate the equipment in question and make an easier time of a trip through a TSA security checkpoint nowadays. 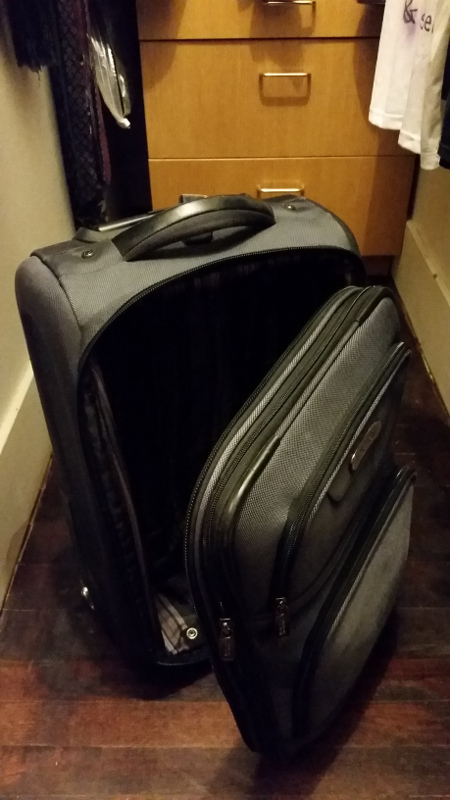 Use a carry-on suitcase or small bag for medical devices like nebulizers and compression stockings. The catch? The third airport I traveled through already this year, one of the large-and-growing ones, didn’t care about anything other than laptops still. No change from last year. When I asked an available TSA agent about removing “larger electronics”, he shook his head and responded with a simple, “Nah, just the laptops”. 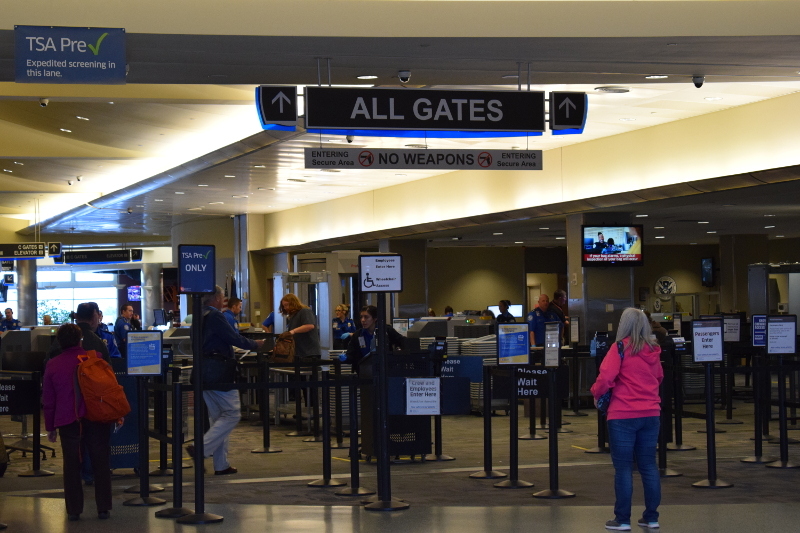 I told him other airports were requiring it, and he confirmed that but implied it was on an airport-by-airport basis, although he just kind of trailed off. In other words, I didn’t get an explanation of why it wasn’t standard practice (yet). A sign of a confused presidential administration? What is standard practice anyway when it comes to travel security issues these days, I wonder. In January, I was prevented from bringing a tripod through security, but only at a smaller airport in Mexico out of all of the airports I’ve ever been to. What have your experiences been so far this year?